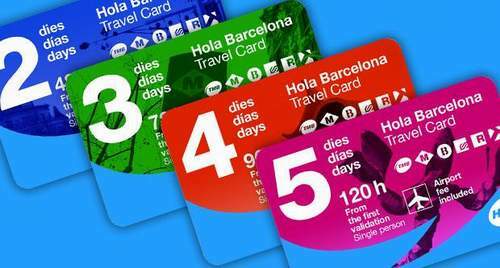 A Hola Barcelona Travel Card give you free, unlimited access to public transportation: Barcelona Metro and City Buses run by TMB, FGC, Tramway, Barcelona Airport Train and Renfe Suburban Trains in zone 1. Choose between 48, 96 or 120 hour validity. Buy your Hola Barcelona Travel Card from home and be ready to explore Barcelona on your own as soon as you land. The Hola Barcelona Travel Card even includes the airport fee, so you can use it going into Barcelona from the airport. Shortly after your booking is complete your e-ticket will be sent to your email. Please print it and bring it to Barcelona. Depending on the option you choose, your Hola Barcelona Travel Card is valid for 48, 96 or 120 hours. - Please note: The night buses (NitBus) are not included. The opening hours of the pick up locations varies depending on location. The night buses (NitBus) are not included.